Along with new Vanilla v4 version (server & designers), we have delivered an update of our Mobile Apps, for Ios (Ipad and IPhone) and Android. You can access those Apps on Android Market and Apple Store. 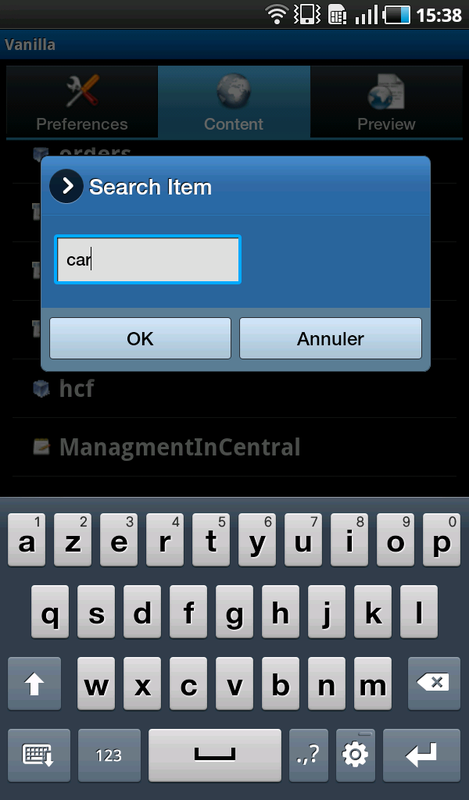 Just go on Bpm-Conseil Web Site to access information page on Mobile features. 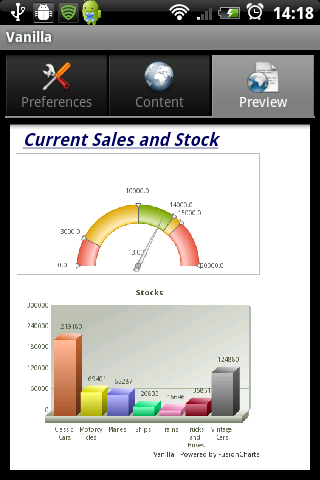 Those Apps, part of the Vanills Apps modules, are avaible in 2 distincts version : Free Version and Commercial Version. 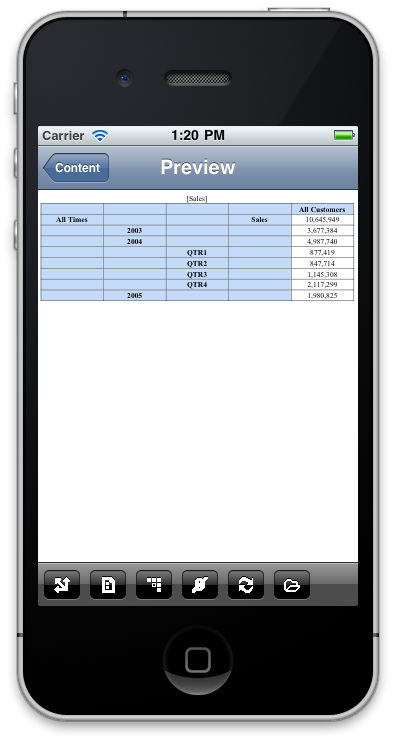 You can use the Free version to validate the features & usage of our Mobile Apps. 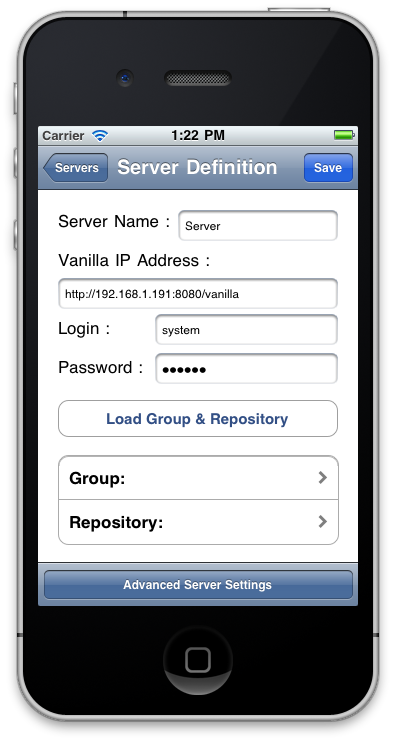 By default, we provide a connexion to a Vanilla instance … anybody with an IPhone, IPad or Android can install the Apps and use it immediatly. 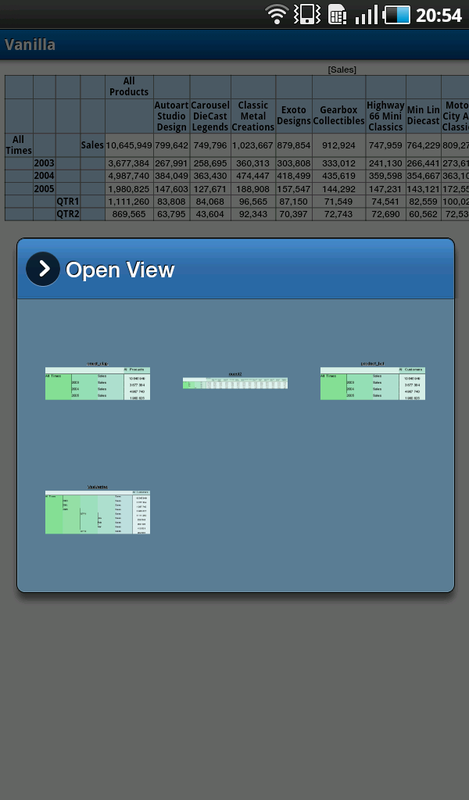 Just have a look at the quality of the interfaces, and the usability of the Apps, for access to business data. 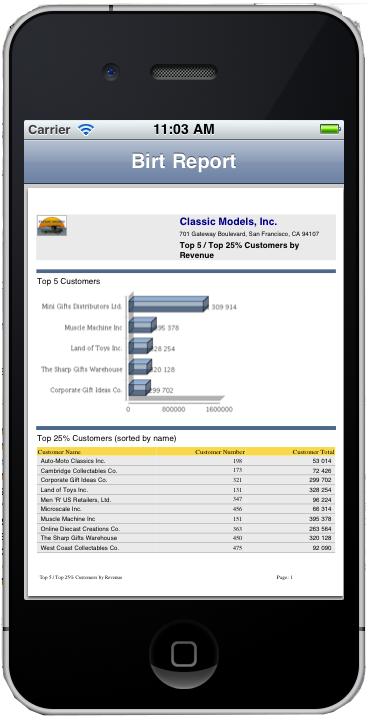 Future of Mobile Bi on Iphone and Android, Smartphone and Tablet, is available today : it’s Vanilla ! We finally close this smartphone loop : Vanilla4IPhone is available for internal tests, and it looks already great ! Well, thanks to Vanilla Architecture & our Dev’s Team, Vanilla4IPhone was smooth to process : we had already the interface (from Vanilla4Android) and the server side components. New subjects was Objective-C language and some IPhone UI standard to follow. Vanilla for Android is cool ! Now, using your favorite Android Tablet or Smartphone, you can browse your report & cubes,and have access to your search engine and start your Bigateway transformation (etl) and workflow documents. 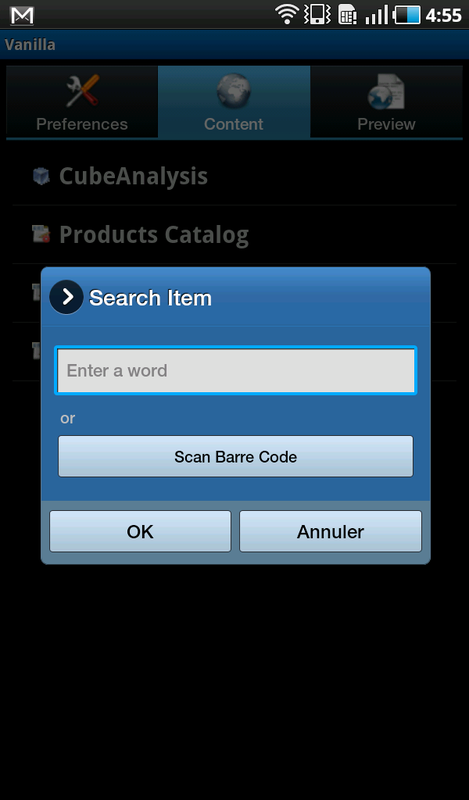 We have added a new crazy feature in the search interface : support of Android Barcode reader. Just imagine how this can unleash your usage of Vanilla documents, by providing immediate results while searching for a product in stock (drugs, foods) using its barcode, or checking a patient folder using only his registration barcode. It’s not only gadget, because barcode and other QR codes are available everywhere. 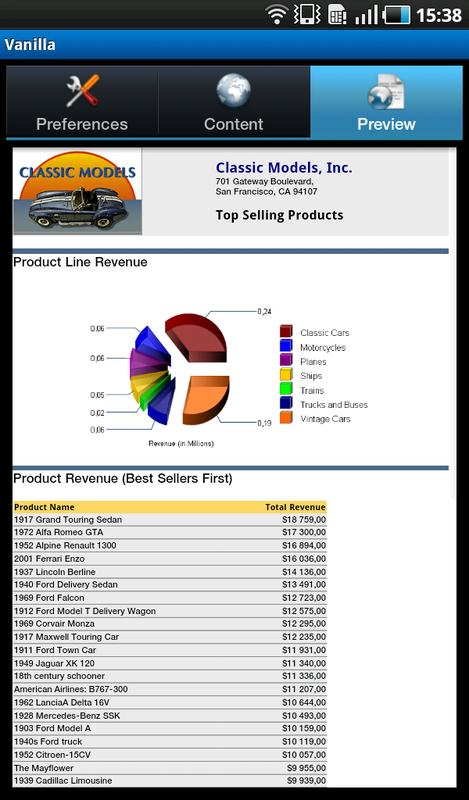 I remember 5 years ago when we started the development of our first Web application (at that time FreeMetrics Web, our first portal for Kpi), the choice of a Framework was not that easy. For some reasons, we decided to go for Struts-Shale. The development was not that easy, and we had issues between browsers. 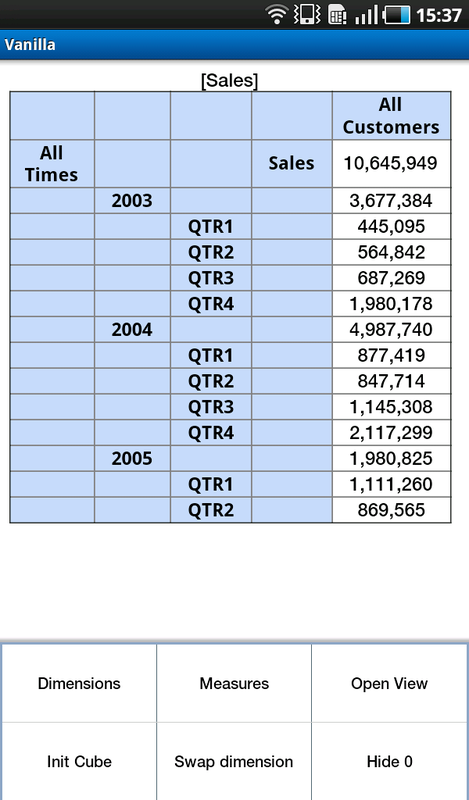 Last year, we have started Tablet projects … and history is a repetition. Apple IPad took the place of Netscape as the innovative leader (just to compare the browser emergence in mid 90s), but you need an Apple computer, Apple specific language to develop application that run only on Apple Tablet. Luckilly, the answer from Google with Android didn’t took 10+ years … it’s already available ! So, as a human-sized editor, we didn’t feel any pain to start developping Android application, using Eclipse PlugIn & emulator, and we are already abble to deploy to any kind of Android-compliant hardware, such as Samsung Galaxy Tab, Archos Tablet or Htc smartphone. It’s time to go for mobile with Vanilla for Android, second edition ! We learnt a lot with the first release of the package, 2 months ago, especially with providing features using the Android standard menu or very simple interface for data exploration. Feedback from early adopters is so valuable for us. Mobile Bi should unlock access to any kind of information, in sectors such as hospital, universities, police & administration. 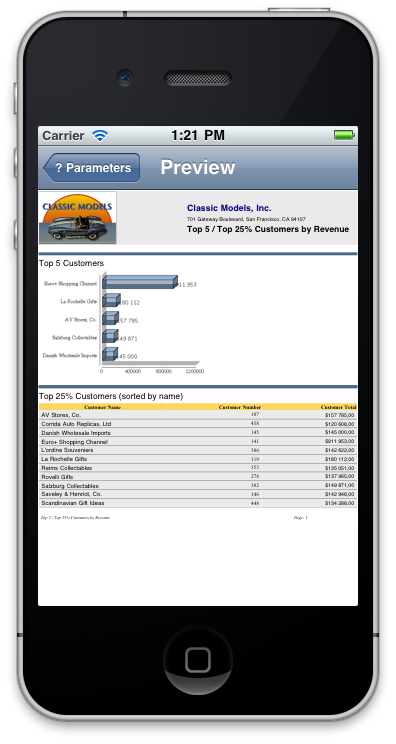 Using Vanilla for Android, you can now have instant access to your favorite reports & cubes using a tablet or a Smartphone. It required us a couple of minutes to deploy & run a Birt + FusionMaps report … WOW !!! Personnally, I’m running the Samsung Galaxy Tab & Htc Desire (Smartphone) … manipulation is very easy, and tablet is solid and not that heavy. We released today on Android Market “Vanilla for Android”, an application that allows users to run Vanilla reports from their favorite Android smartphone. 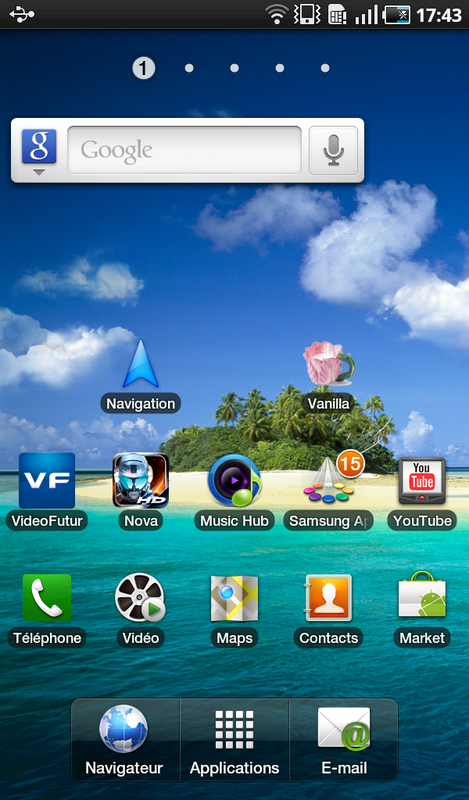 “Vanilla for Android” belongs to “Vanilla Apps” set of applications, and is available on Android market for free. 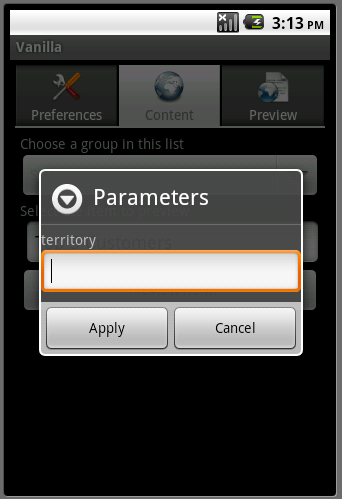 To run this smartphone application, you need an Android 2.1 and Vanilla 3 platform.